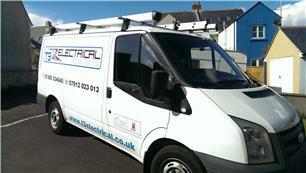 T3 Electrical - Electrician based in Chickerell, Dorset. Founded in Weymouth early 2012 we offer a wide range of Domestic & Commercial electrical services within the Dorset and Somerset area. Whether it’s a complete re-wire or extra socket we can cover it. Incorporating a modern take on electrical installations in the home. All Work is carried out to 17th edition BS7671 by qualified professionals with time served apprenticeships and will be certificated and notified via the Part P scheme through our governing body NAPIT. For a friendly, reliable and professional service feel free to call for a no obligation quote.